Day 1: Arrival in Cancun, 1 night accommodation, All Inclusive Plan. Day 2: Flight to Cuba, 1 night accommodation, All Inclusive Plan. Day 3: Fly to Cancun, 1 night accommodation, All Inclusive Plan. 2 Nights Hotel in Cancun All Inclusive Plan. 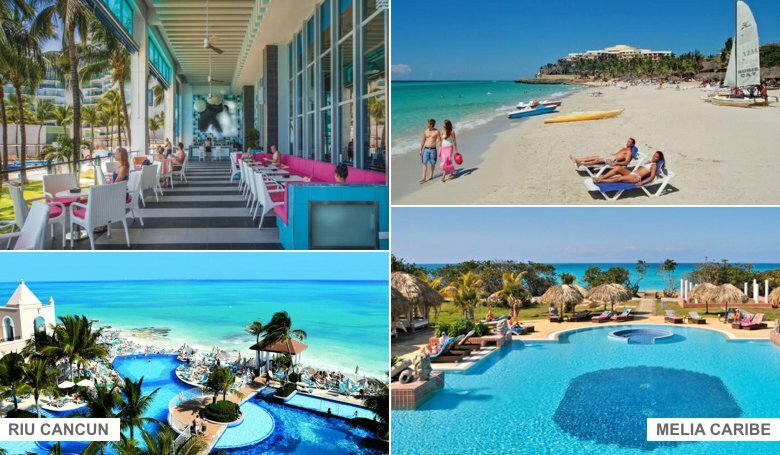 1 Night Hotel in Cuba, All Inclusive Plan. Land Transfer round trip: Airport - Hotel - Airport. Taxes: Q, TUA, VISA Tourist, UK Mexico-Havana, Leaving Havana.